What is Chalk Couture you ask? Very good question! In a nutshell: Chalk Couture is DIY chalk art for the artistically challenged (me!). By using specially formulated, non-toxic chalk paste with reusable, adhesive silkscreen transfers, anyone is able to produce perfect images every time. 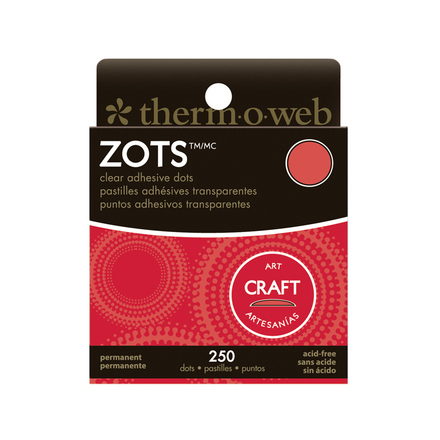 It’s perfect for children, anyone like me with unsteady hands, craftaholics, or anyone who thinks they “can’t” or “aren’t crafty”. Chalk Couture is the perfect product for perfect, on-trend DIY home decor! Please read this short article that I wrote to find out even more. 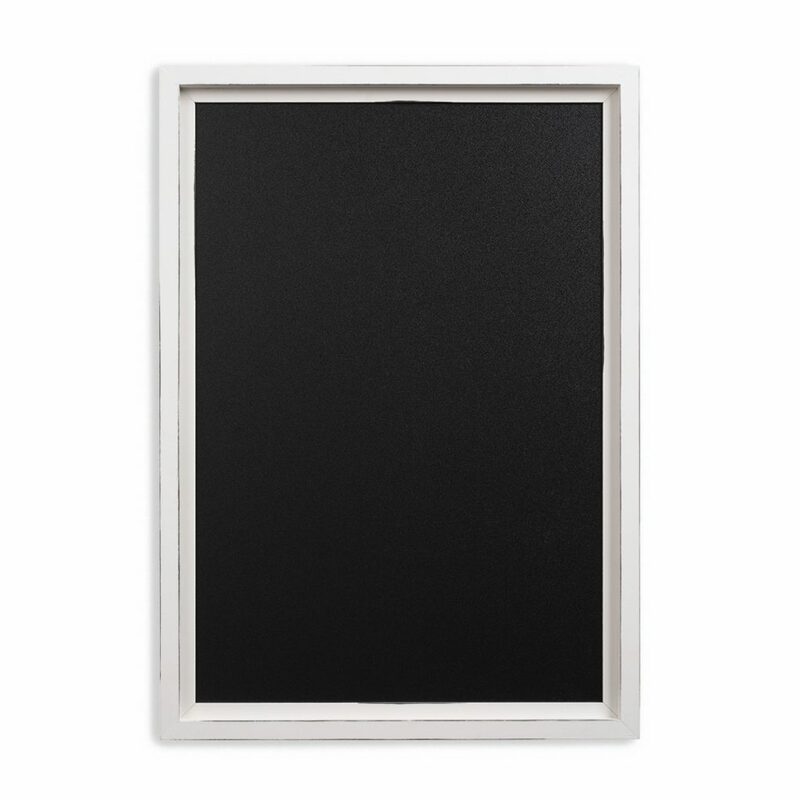 The chalkboard that I am using is called the Greyson White Frame (pictured above). This Chalk Couture-exclusive board with lightly textured finish is lightweight, durable, and cleans up easily with water when used with our Chalkology Paste. 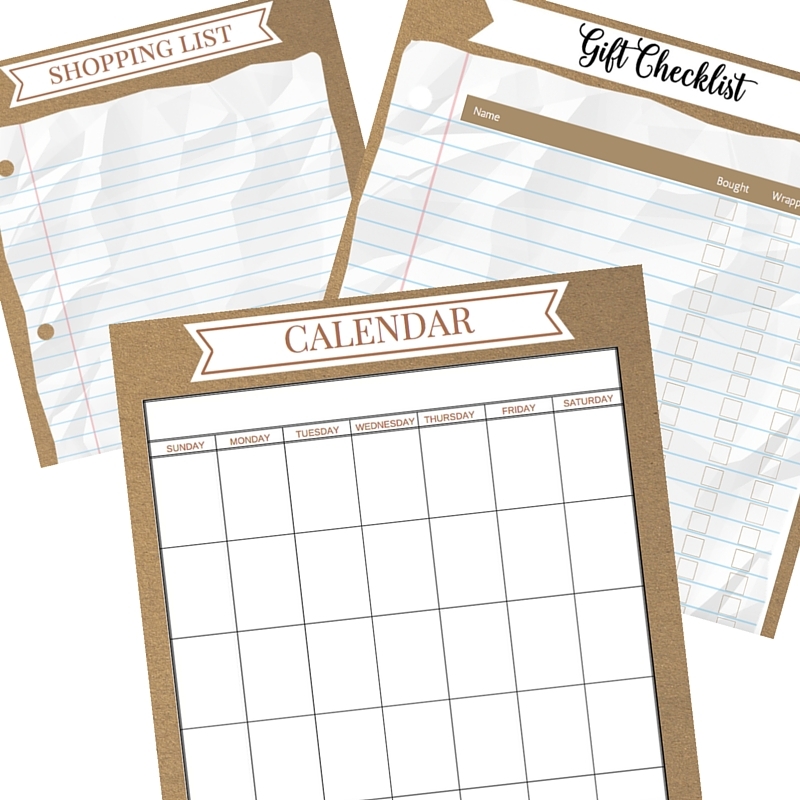 This non-magnetic board features saw-tooth hangers and measures 12.5″ x 18.5″. Its the perfect size for many of the Chalk Couture “C-sized” transfers. Following the instructions as seen in this article, I created this pretty awesome Happy Halloween sign in less than five minutes. 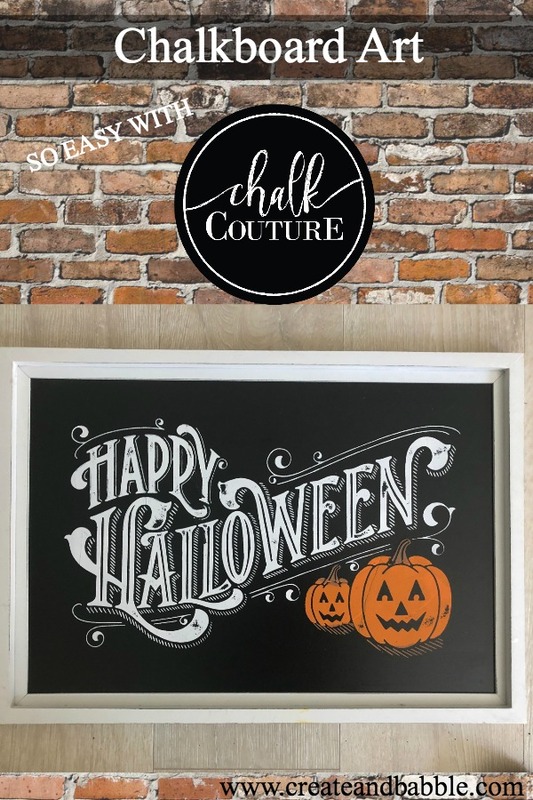 If you would like to learn more about Chalk Couture and see more projects made with Chalk Couture, please join me in my special Facebook page. 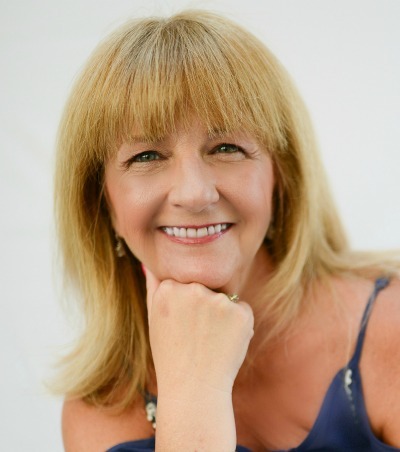 I share lots of videos and information about Chalk Couture there and I’d love to see you there. 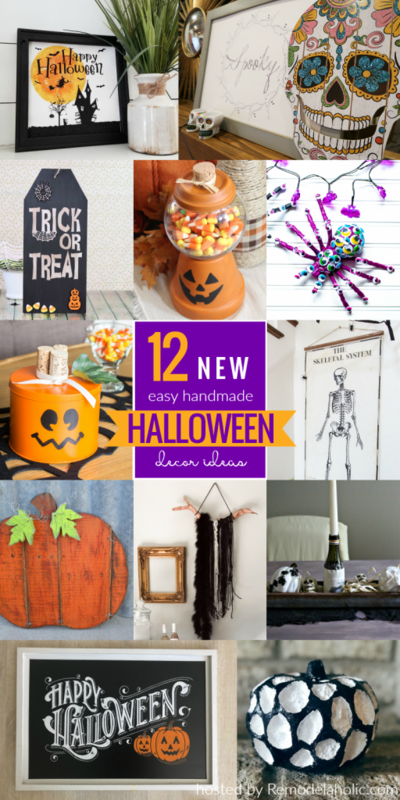 Today’s project is part of the Remodelaholic Halloween Decor Challenge. Please watch all of the videos in the playlist below for more DIY Halloween Decor ideas. 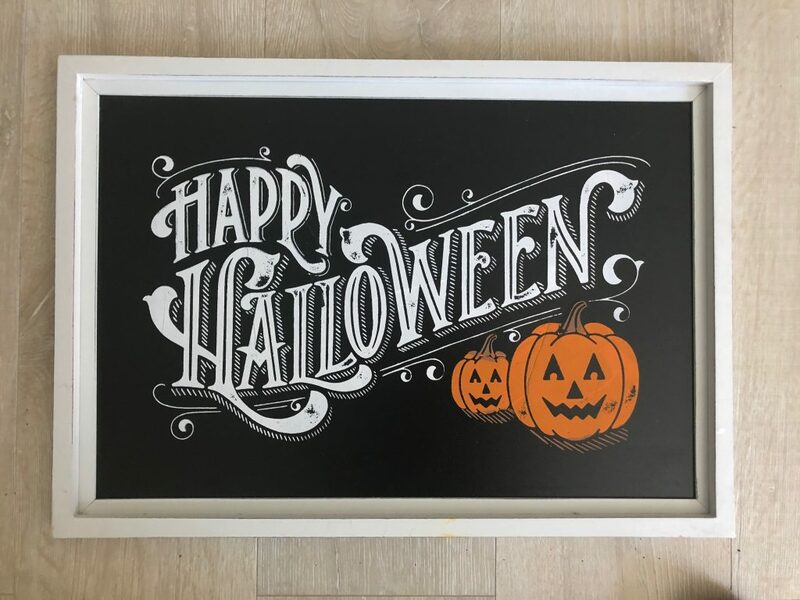 I love this Halloween chalkboard sign and your video is so helpful! This design is so great! Thanks for sharing at To Grandma’s House We Go DIY, Crafts, Recipes and More Link party! Hope to have you join us again next week.